[FTC Disclosure] I paid full price for my Dragon Knuckles Heat Resistant Gloves. The link provided is an Amazon Affiliate link. Gift Card Week: A lot of people received cash and prepaid cards for Christmas this week. I thought it would be an opportune time to post some product reviews this week for the things that Santa didn't bring you. A good pair of heat resistant gloves is essential for having a fun and safe time with your grills and in your kitchen. For the longest time, a good pair of welding gloves was my weapon of choice. In March 2017, I bought a pair of Dragon Knuckles after chatting with the owner on Twitter. I have used them extensively for the past year, at home and on the circuit. 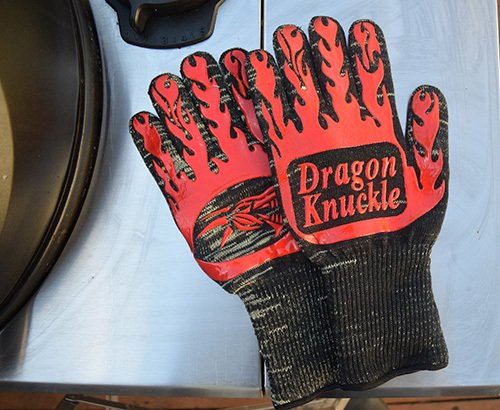 The Dragon Knuckles have become my go-to pair of grilling gloves for several reasons. Design - The gloves have the extended cuff. Most of my burns don't happen on my hands. Instead, I reach across or under a hot metal rack then burn my forearm when I inadvertently brush against the hot object. The extended cuff length protects against that. Construction - Dragon Knuckles are made using 13 ounces of meta-aramid (aka Nomex) and para-aramid (aka Kevlar). The coating of silicone adds further heat protection and grip. Reversible - Dragon Knuckles fit on either hand. This is particularly useful because I'm good at misplacing items like these gloves and if I can only find one, it won't be the wrong hand. Comfort - In a previous life, I was a safety professional, and my degree was in Occupational Safety and Health. I know that comfort is critical for Personal Protective Equipment (PPE). If the PPE isn't comfortable, you are going to avoid wearing it and find your own, potentially less safe, alternatives. Dragon Knuckles are the most comfortable gloves that I have. Durability - These things have taken my abuse for 9 months and are in excellent condition. I have a bin full of silicone gloves, oven mitts, and welding gloves but I have found myself opting for the Dragon Knuckles almost exclusively. [FTC Disclosure] I received a JJGeorge Grill Charge as a free sample. There are plenty of ways to light your grill. I've always said, use what works for you because grilling and barbecue are more about preferences than absolutes. Only a Sith deals in absolutes, right? 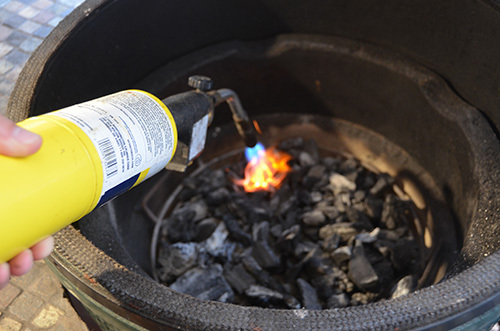 That said, my "hard preference" for lighting grills is a gas torch because I think they are the fastest and easiest method. 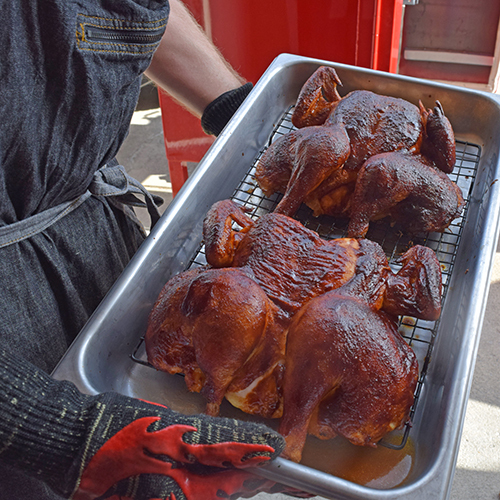 Using a torch is the method that I recommend in my book, The Kamado Smoker and Grill Cookbooks (Ulysses Press). Last month, I met the JJGeorge team at the Pensacola Eggfest where they were serving up excellent oysters from the Big Green Egg. 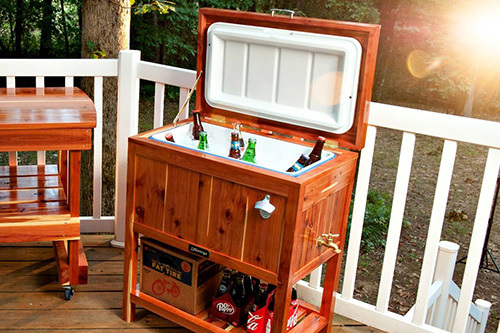 JJGeorge is a company that sells exceptional grilling furniture and accessories such as beautiful kamado tables, grill covers, eye-catching wood trimmed coolers, and the full Smokeware line. JJGeorge's Nukshuk Coolers are part craftsmanship and part art. 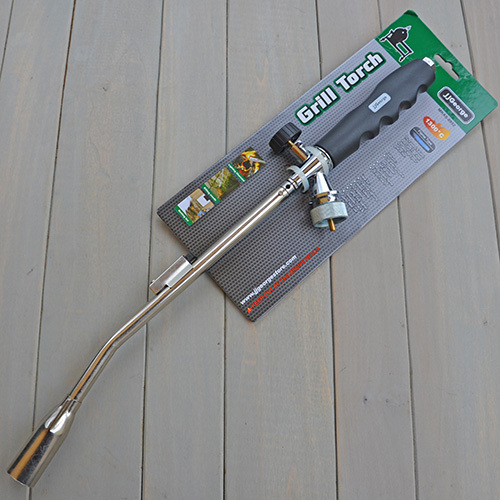 Their newest product offering is their new Grill Torch. Priced at $39.99 (currently on sale at $29.99!) the JJ George Grill Torch is less expensive than the plain gas torch that I bought at Lowes. [FTC Disclosure] I have received free samples from Flame Boss. However, I have also bought units from them at full price as well. SABER is our infrared grill sponsor. 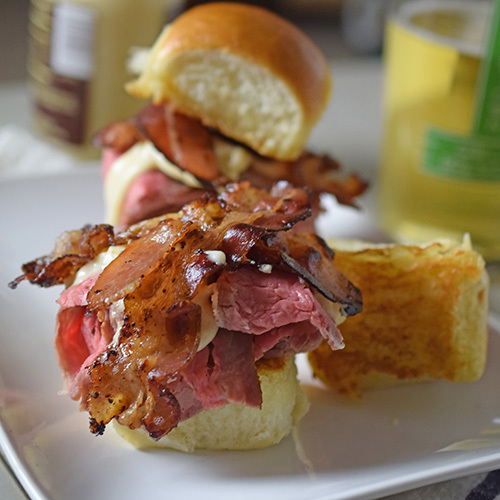 Shaved beef tri-tip sliders, why haven't I thought of that before? Crispy toasted rolls, tender seasoned beef, homemade bacon, and a cheese sauce. These were ideally suited for the Carolina/Tennessee basketball game this weekend. We did a reverse sear and then let the tri-tip rest in the fridge overnight. I used an almost 0 setting on a meat slicer to get the slices extra thin. We already had the bacon in the freezer. The cheese sauce is a blend of Swiss, Gruyere, and cheddar cheeses. What makes the sauce special is the roasted garlic, horseradish, and a little bacon fat. It has got a depth of flavor going on. This sauce would be fantastic on a dinner roll with a piece of leftover prime rib. 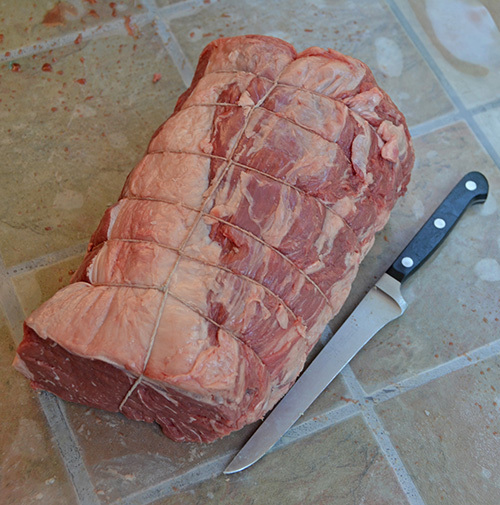 A beef tenderloin roast can be a meal that your guests remember for years to come. Additionally, beef tenderloin roasts are faster cooking, smaller, leaner, and more tender than a rib roast. 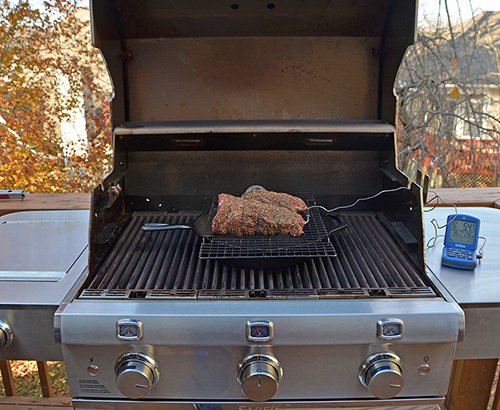 My December assignment for SABER Grills, our gas grill sponsor, was beef tenderloin for the holiday table. 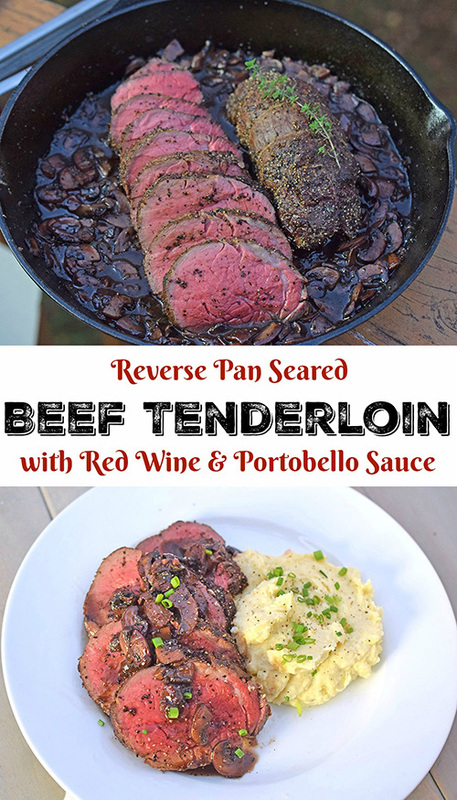 I came up with this straightforward yet delicious Peppered Beef Tenderloin with Red Wine Portobello Sauce. I used a "reverse pan seared" technique. In addition to the usual benefits of a reverse sear, the reverse pan searing has a few advantages. Using cast iron gets an even crust when searing. Using the cast iron as your indirect shield preheats it for the sear. Best of all, you can use the sucs (brown bits in the pan) to create delicious pan sauces. The reverse pan sear set up that I used on my SABER 1500 Elite SSE. You will find the full recipe for Peppered Beef Tenderloin with Red Wine Portobello Sauce on the SABER Grills website. [FTC Disclaimer] We have appreciated having Char-Broil as a sponsor for the past three years. This is our final sponsored post for them. It's time for the Grinch himself to carve the roast beast, right? Rib roast season is here. 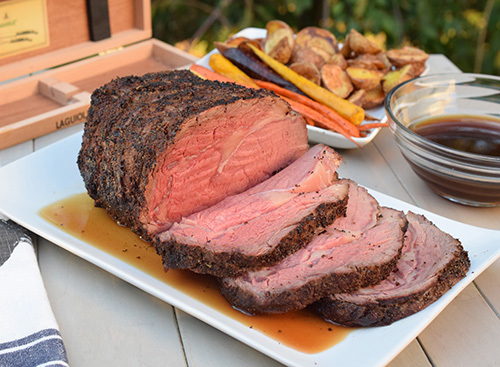 This is an easy recipe for Reverse Seared Prime Rib that I created for Char-Broil's website this year. The full recipe is there. These are just some additional pictures and notes. 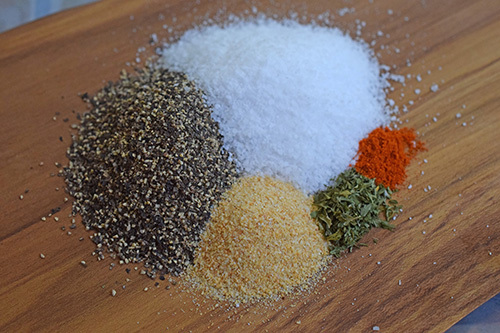 I kept the seasonings simple, just black pepper, kosher salt, granulated garlic, cayenne pepper, and dried parsley. 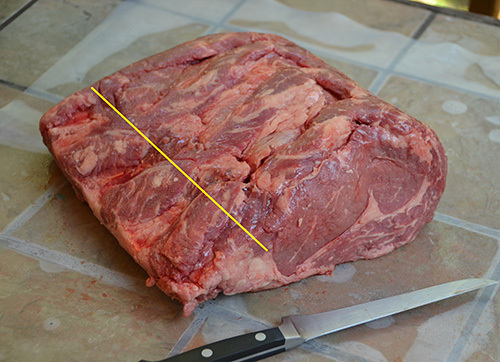 The boneless beef rib roast that I bought was "lip on" so I sliced it off by cutting through along the fat line. I superimposed the yellow line to show where to cut. Save the lip. Trim any red meat out for scraps and use the fat for making beef tallow. Trimmed and tied to keep it in a more uniform shape. Want to know why the beef in these fantastic Steak and Grilled Onion Tacos is so tender? Left: Tenderloin chunks from the "chain." Right: A mini-roast using the side meat (iliacus muscle). 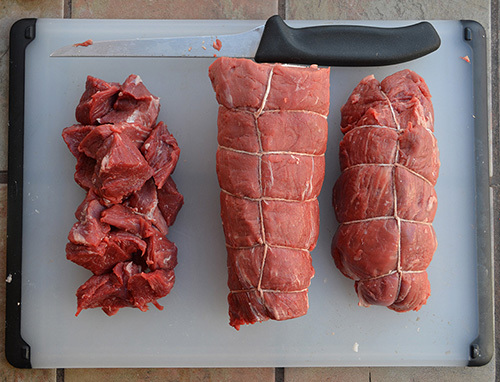 The "chain" is a little strip of muscle (psoas minor) that is hidden in a bunch of connective tissue that runs along the side of a whole beef tenderloin. A lot of people might mistake that for scrap. But a little knife-work and patience can produce delectable bits of steak that chefs often treasure for themselves. 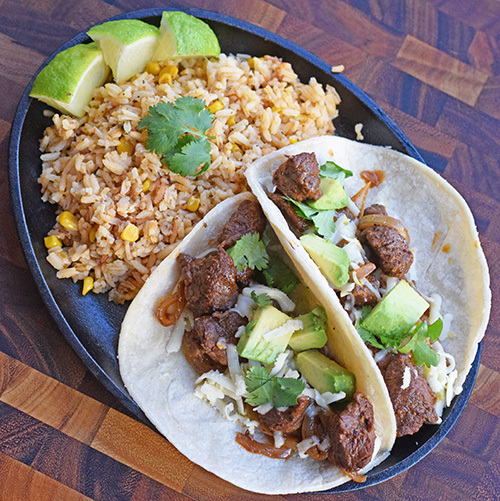 These "scraps" of filet mignon are just the thing for Fire Seared Beef Tips and Rice or in these Steak and Grilled Onion Tacos. Trevor's girlfriend came over, and I wanted to make them something to eat while they studied. 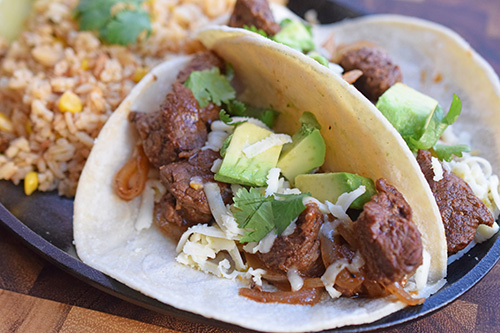 I grabbed my beef tenderloin chunks, a few things I had in stock, and made them these tacos. This is what happens when you get culinarily bored. 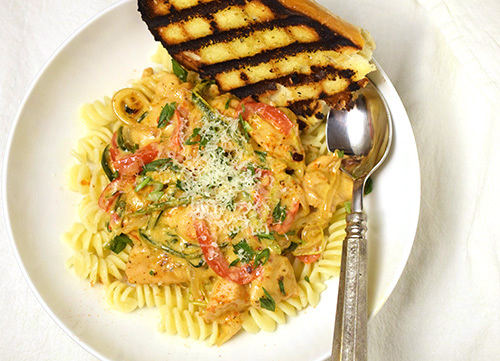 I combined a Cajun chicken recipe with stir-frying techniques (aka stir firing on the grill) to come up with this creamy and delicious Stir Fried Cajun Chicken Pasta. 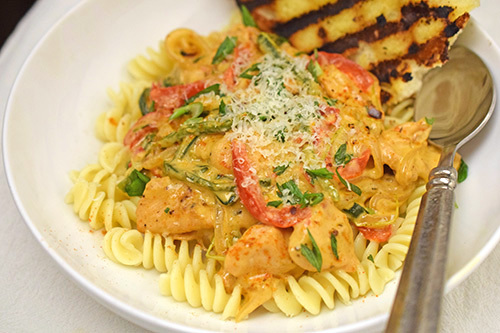 I started with this Cajun Chicken Pasta recipe from BigOven as a jumping off place and changed the ingredients for my preferences or what I had in supply. I decided on stir-frying because the ingredients suit that style of cooking and stir-frying on the grill is fun. Remember that stir-frying happens at a frenetic pace. Mise en place* is especially important with this "blink and it's done" type of cooking. This includes the tools you will need, in this case, grill mitts, wooden spatulas, and maybe a set of tongs.